Xara Photo & Graphic Designer is simply the best graphics software for all your drawing and photo needs, ideal for both print and the web. Xara Designer is perfect for everything from simple logos to detailed illustrations. Xara Designer is quite simply the world's fastest graphics software, with truly flexible illustration tools and revolutionary photo handling. It has the world's most sophisticated, highest performance vector rendering engine. Photo & Graphic Designer is the best graphics software for your drawing needs. ...... vector rendering engine. Quite simply this makes it the fastest graphics software to be found. Xara Photo & Graphic Designer's Direct Action Tools allow you to create effects such as transparency, shadows, bevels or gradient fills in an interactive, fast and intuitive way. No distracting dialogs - simply drag on the object! Many tasks in Xara Designer benefit from being able to use the drag and drop principle, which is the most intuitive way of working and a great time saver. 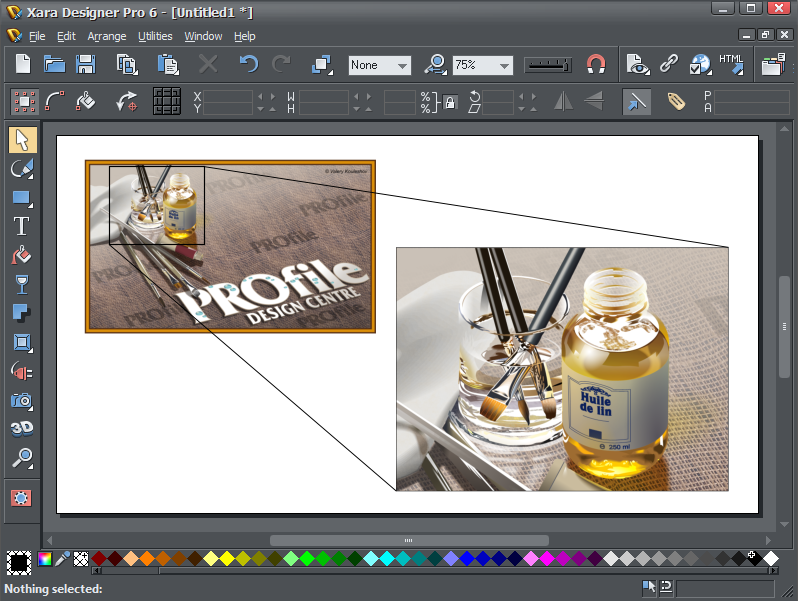 Xara Designer also supports drag and drop import of files, such as photos. Instead of dragging outlines when you draw, move, rotate or resize objects, Designer offers solid live object manipulation. Only Designer is fast enough to do this on complex vector graphics. Being able to change what you have done is vital in a graphics package. Xara Photo & Graphic Designer allows unlimited undo, making experimentation easy. Qweas is providing links to Xara Photo & Graphic Designer 7.1.2 as a courtesy, and makes no representations regarding Xara Photo & Graphic Designer or any other applications or any information related thereto. Any questions, complaints or claims regarding this application Xara Photo & Graphic Designer 7.1.2 must be directed to the appropriate software vendor. You may click the publisher link of Xara Photo & Graphic Designer on the top of this page to get more details about the vendor.